When many younger women get married, they are often very excited for that wonderful stage of life called pregnancy. Finding your soul mate and creating a new being together can be the highlight of many women’s lives, but unfortunately, it’s not always so easy to make this a reality. Many women naturally have a very hard time conceiving, which can be due to many factors, both genetic and environmental. Luckily, IVF (or in vitro fertilization), is a common process these days that can help many women become pregnant and start the family of their dreams. Fertility treatments are safe and help many women overcome their inability to conceive a child. In vitro fertilization takes the fertilization process that normally happens inside a woman’s body, and just takes it outside the body. The woman’s eggs are surgically removed and then fertilized by a sperm cell in a lab. This helps take care of the fertilization process that the woman’s body is unable to perform itself. Then, the fertilized egg is re-implanted into the woman’s womb. This entire process usually takes between four to seven weeks. Unfortunately, IVF is not guaranteed to result in pregnancy, though it is an effective way to combat infertility in women. Generally, younger women have a higher chance of success with IVF, making them great candidates for the procedure. The success rates for IVF peak until around 40 and then drop drastically down. You might be able to imagine that IVF is a highly emotional as well as physical process for a woman. She’s dealing with the inability to conceive on her own, and constantly putting hopes on the IVF helping her to conceive a child. So any woman undergoing IVF should be offered a counseling process to help her deal with the emotional side effects. And it’s not just women who are affected by IVF. Men as well can go through the emotional process, so they can go through counseling as well or the couple can go for counseling together. These days, IVF is more effective than ever. The new technologies available are helping women to become pregnant more often than before. Before starting the process, women are given hormones to make them produce multiple eggs each month (instead of just the one that they normally produce.) And before taking the eggs, the woman will receive a medication that ripens the eggs and starts ovulation. Doctors are able to see that the eggs are at just the right stage of development before taking them out for fertilization. Modern medications make sure that women are comfortable and pain-free during the procedure. There are some great new technologies that are improving the success rate of IVF and reducing the costs of the procedure. A new screening process can screen embryos to see if there are abnormalities in the DNA that could affect the ability to conceive a child. If the correct number of chromosomes is present, the embryo will be most likely to develop into a healthy child. And the embryoscope is a device that can check the embryos every few minutes for viability, where in the past they could only be checked about once per day. This is a huge increase in the success rate of healthy babies born through IVF. Fertility doctors are enjoying the benefits of this new technology as it makes it much easier to determine whether an embryo will develop successfully. 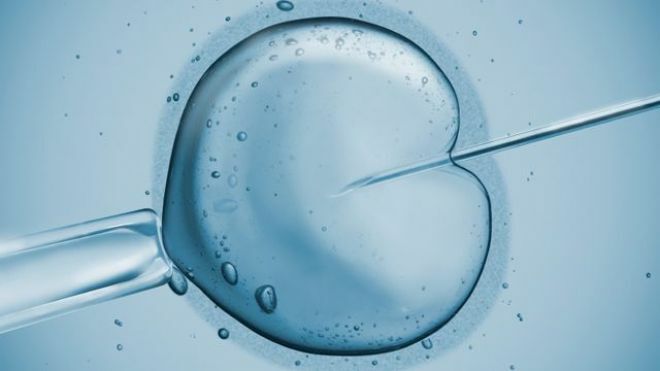 Younger women have a bright future for using IVF to conceive their child. The new technologies are making it easier than ever to retrieve the most fertile egg and fertilize with the sperm to form the healthiest embryo. And now, the embryos can be checked so often that it’s nearly impossible to miss what’s going on in their development. So for women unable to conceive on their own, there is no reason to worry about the ability to start a family as a young mom. There is nothing “wrong” with your body; sometimes women just need a bit of help to get their family started! And that is what IVF can help you do. The technology is expanding the process every single day, so there’s no better time to reach out and ask for help. Make sure you’re ready to start the process of starting a family, and if you’re unable to conceive on your own, check out your local fertility clinic for more information on how to have the IVF procedure.